This article first appeared in the Delaware Valley Historic Radio Club's Oscillator. I was so encouraged by the success of the simple regenerative set that I undertook the design of a much more elaborate one-tube set using a "reflex" circuit. In this receiver the signal passes through the tube twice: first, as radio frequencies and then a second time, as audio. 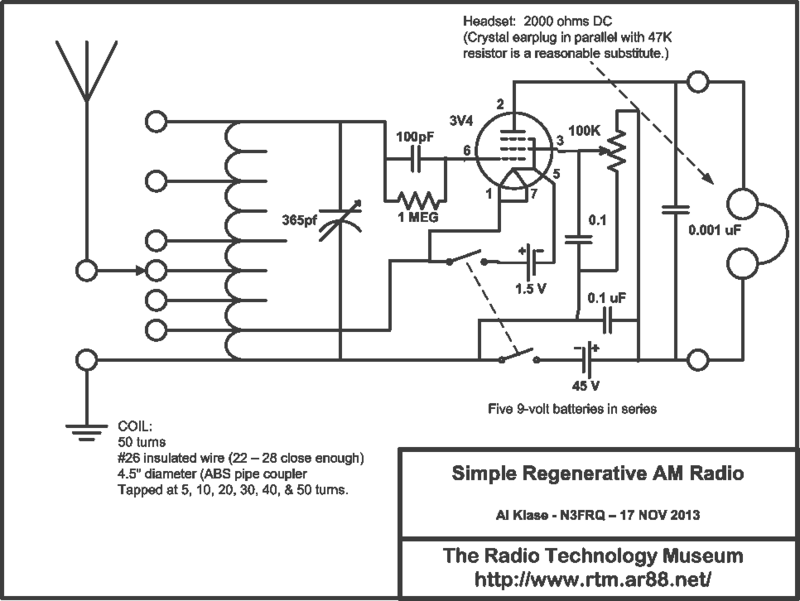 Because there is considerable RF gain before the detector, this radio is far more sensitive than a simple regenerative set. This is not a project for beginners. The design employs a lot of hard-to-get and potentially expensive parts, almost enough to build a rudimentary superheterodyne. You'll probably need a sweep generator to get the tunable band-pass filter working correctly. You should be prepared to reengineer the circuit to suit the parts on hand. 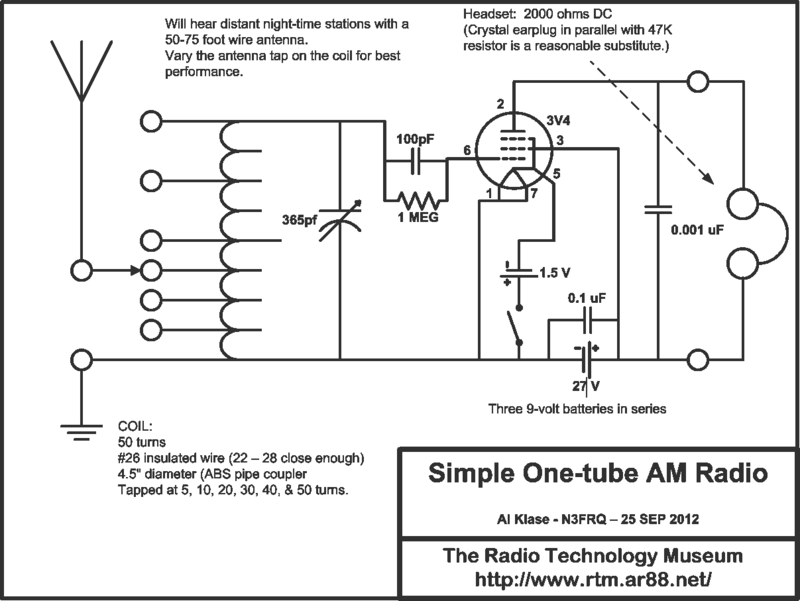 Simple battery tube radio based on the PGXS crystal set.